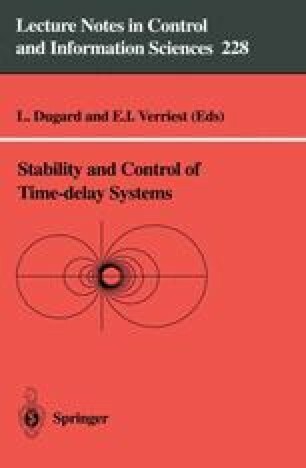 In this chapter, we consider two problems associated with time-delay systems: robust stability analysis and robust stabilization. We first obtain two results for robust stability using the integral quadratic constraint approach and the linear matrix inequality technique. Both results give an estimate of the maximum time-delay which preserves robust stability. The first stability result is simpler to apply while the second one gives a less conservative robust stability condition. We then apply these stability results to solve the associated robust stabilization problem using static state feedback. Our results provide new design procedures involving linear matrix inequalities.